Tags: 2020VQ, Autumn, community, Fundraising, Outreach, Randy, Support. As Patriots Day arrives with my making a slightly different attempt to savor the 120th running of the Boston Marathon, I took a little break from our usual blog. 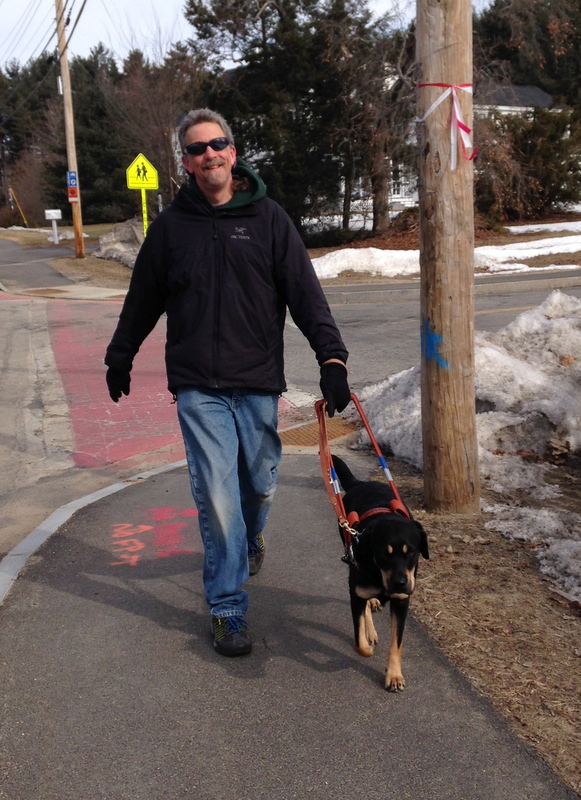 Instead, I invite you to visit the New Hampshire Association for the Blind who have recently launched their own blog and include an interview with me for their “Walk In My Shoes” opportunity at the June 4 Walk for Sight. We encourage you to read their interview with me and perhaps take the challenge yourself. We certainly welcome you to join our team or sponsor someone on our team. Read my full interview with NHAB here.